* Haaretz said to call an extraordinary meeting tonight with some of the hundreds of people who say they no longer wish to read it. The English edition of Haaretz today runs a shortened version of the interview with former AP Jerusalem correspondent Matti Friedman and myself, about international media coverage of the Israeli-Palestinian conflict. Both Matti Friedman and I were unhappy with the way the Haaretz English edition today changed and skewered what we said. I would add too, that this is not the fault of the journalist who interviewed us, Dafna Maor, who is the foreign editor of The Marker, but of the editors at the English edition of Haaretz. After our complaints (the editor of the Haaretz English edition is a subscriber to this list) Haaretz agreed to change the online version of the article, but the print edition remains with the version which misrepresents what we said. I attach the revised English version below. Although the distortions were probably the result of the understaffing at Haaretz (the paper recently dismissed about a third of its staff to stem mounting losses) there is also concern about its over-politicization. There is considerable unease among some of the staff at the Hebrew edition of Haaretz who say that the English edition had distorted their articles, or added misleading headlines to their pieces. 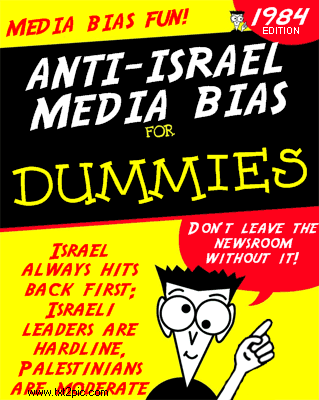 The Hebrew edition – despite having some fine writing and writers – also contains many articles that have undermined the state of Israel, or are factually incorrect -- for example, the headline that wrongly claimed that a majority of Israelis support “apartheid”; this was then reprinted in papers around the world. As a result, thousands of Israelis have canceled their subscriptions to Haaretz. So much so that in the last few weeks the owner and publisher of Haaretz, Amos Schocken, has in desperation asked several of his leading writers personally to phone subscribers who have cancelled, to persuade them to rethink their decision. This evening he has invited hundreds of Haaretz subscribers who have cancelled -- after 20 or 30 years as subscribers -- to a gala reception with staff at Tel Aviv museum. They will, he says, be served special refreshments, discuss their dismay with staff, and be given a private viewing of the museum, in an effort to win them back. However, several people I know who have been invited this evening (all of them on the Israeli center-left) say they are so fed up with the fact Haaretz so often paints Israel in the worst possible light, that they no longer want anything to do with the paper, and will not attend. The Israeli-Palestinian conflict receives a disproportionate amount of attention in relation to its size and importance in the world; journalists follow the herd and suffer from groupthink; and there is fear of Palestinian censorship, backed up by threats. These are just a few of journalist Matti Friedman’s claims against the foreign media and its coverage of Israel. “As a former insider, and as an Israeli with left-wing opinions that are not radical, I think the decisions that the bureaus of the large global media outlets in Israel make are politically motivated and disguised as motivated by journalistic considerations,” says Friedman, a Canadian-born journalist who immigrated to Israel in 1995 and worked as a reporter for the Associated Press. During his career he has worked as a reporter in Egypt, Morocco, Lebanon, Moscow and Washington, D.C. In 2013 he published “The Aleppo Codex: In Pursuit of One of the World’s Most Coveted, Sacred and Mysterious Books” (Algonquin Books). His article about press coverage of Israel, entitled “An Insider’s Guide to the Most Important Story on Earth,” which appeared in Tablet magazine in late August, was shared tens of thousands of times on Facebook and made a good many waves. In his article, he compares the coverage of Israel to that of other large news events all over the world. “News organizations have nonetheless decided that this conflict is more important than, for example, the more than 1,600 women murdered in Pakistan last year (271 after being raped and 193 of them burned alive), the ongoing erasure of Tibet by the Chinese Communist Party, the carnage in Congo (more than 5 million dead as of 2012) or the Central African Republic, and the drug wars in Mexico (death toll between 2006 and 2012: 60,000), let alone conflicts no one has ever heard of in obscure corners of India or Thailand. They believe Israel to be the most important story on earth, or very close,” he wrote. He suggests an explanation for the way Israel is covered. “The people who make the decisions at the newspapers – I speak from direct experience – are hostile toward Israel. They see themselves as part of an ideological alliance that includes NGOs and UN agencies. “The move in social circles that are pro-Palestinian and hostile toward Israel and, and they see journalism not as a way to explain the complex story to people but as a political weapon with which they arm one side in the conflict,” he writes. Friedman is one of a few journalists making such claims about the foreign media. Other veteran journalists who share his view include Tom Gross, a commentator on international affairs and a former reporter on the Middle East for the Sunday Telegraph; Richard Behar, who published an exposé in Forbes entitled “The Media Intifada: Bad Math, Ugly Truths about New York Times in Israel-Hamas War”; and Richard Miron, formerly a BBC reporter on Middle East affairs, who wrote about the subject for Haaretz (“Media self-reflection on Gaza war coverage is necessary, but unlikely,” September 1, 2014). “One should not forget that the media is full of stereotypes and mistakes about many issues. Yet when every allowance has been made, the sustained bias against Israel is, I believe, in a league of its own,” Gross told Haaretz. “And then there is the fact that Israel is a Jewish state,” Gross adds. He cites coverage of the involvement of France, which could also be viewed as a white superpower, in three wars taking place in Africa. “There are very few American or British journalists covering the conflicts in Mali or the Central African Republic – though France is perceived as a white country. If France was a Jewish country, the BBC would most probably send large numbers of reporters there, like it did to Gaza,” Gross says. In early 2009, two of Friedman’s colleagues received information about a significant peace initiative that Ehud Olmert, who was prime minister at the time, had offered the Palestinian Authority, which turned it down. “This had not been reported yet and it was – or should have been – one of the biggest stories of the year. The reporters obtained confirmation from both sides and one even saw a map, but the top editors at the bureau decided that they would not publish the story,” Friedman writes. “Some staffers were furious, but it didn’t help. Our narrative was that the Palestinians were moderate and the Israelis recalcitrant and increasingly extreme. Reporting the Olmert offer – like delving too deeply into the subject of Hamas – would make that narrative look like nonsense. And so we were instructed to ignore it, and did, for more than a year and a half,” Friedman says. AP’s former head of Mideast reporting, Steven Gutkin, wrote in response to Friedman’s story: “The story was little more than well-written hogwash,” and denied that any decision making was influenced by prejudice. Friedman also points out that AP has never mentioned Hamas’s covenant – which calls explicitly for the destruction of Israel and the murder of Jews, and blames the Jews for the French Revolution and the communist revolution in Russia – once in its reports, even though Hamas won the elections in Gaza. Gross says that the reason for this among many is not because of any great affection for the Palestinians. “It’s not because they particularly like the Palestinians, or because Arab governments are paying them. For some at least, they are – perhaps unconsciously – uncomfortable with Jews, or at least with the idea of a Jewish state,” he says, though he adds that he does not think they are knowingly anti-Semitic. Both Friedman and Gross feel that the bias also does a disservice to the Palestinians, though not to Hamas. Friedman points out in his article that there’s nearly “no real analysis of Palestinian society or ideologies, profiles of armed Palestinian groups, or investigation of Palestinian government. Palestinians are not taken seriously as agents of their own fate. Gross says he believes the anti-Israeli rhetoric encourages entrenchment among the Palestinian leadership and helps deter them from making the compromises necessary to achieve any long-lasting solution with Israel. Another problem, according to Friedman, is the revolving door between the profession of journalism and political involvement – in other words, the movement of people from journalism to large international NGOs or the United Nations. Friedman also points to laziness. “Many of the foreign journalists do not know the history,” he says. “They do not know Hebrew or Arabic, and they have no real grasp of what is happening. Because of that, they stick to their colleagues’ story and move with the herd. The AP is a large organization and, like Reuters, part of the herd. Both agencies make similar decisions. “The reason we did not know that the Middle East was about to erupt like a volcano was that the foreign media was busy counting houses in settlements. Friedman elaborates on the implications of the media’s faulty coverage of Israel.